The Studio, Southwark, with Ion Glass Limited. 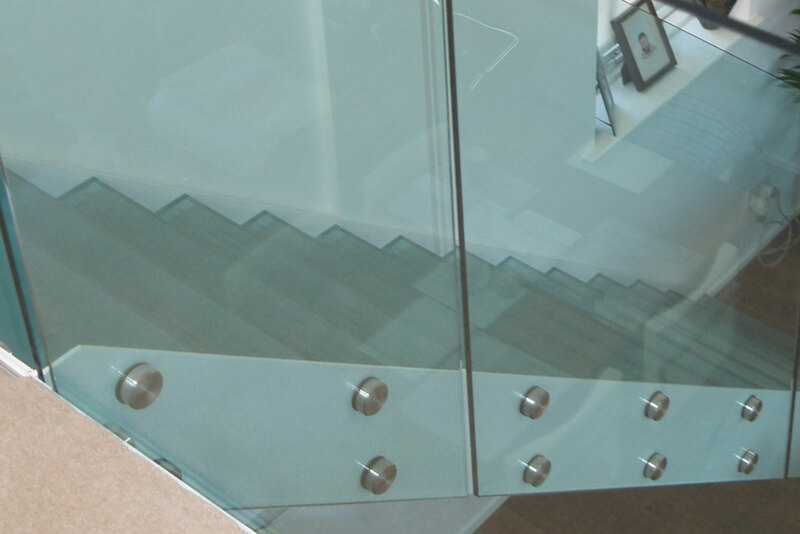 Frameless glass balustrade to staircase and mezzanine with glass stair treads. 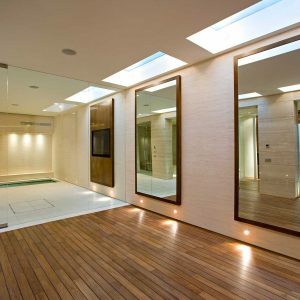 Ion Glass were commissioned to install a frameless glass balustrade and glass steps to a contemporary studio in South London. Ion surveyed, templated and installed a frameless glass balustrade with coordinating stair treads to invite light and space to the client’s living area. 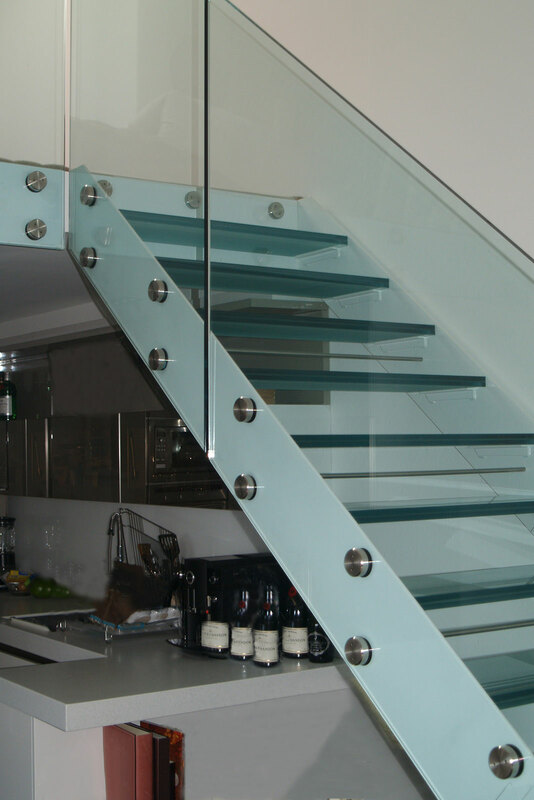 A bespoke glass staircase was created by replacing the original space saving staircase with bespoke stainless steel stringers and treads supports and fitted with bespoke glass stair treads. 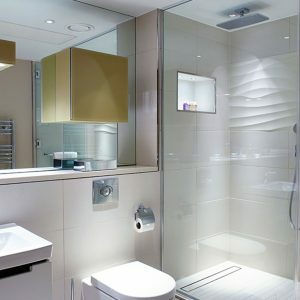 MDF templates for the balustrades and stair treads were created for approval prior to glass manufacture. 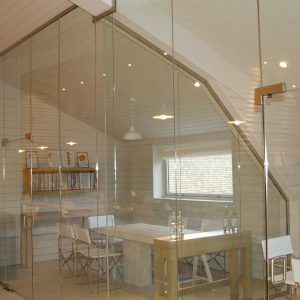 The glass balustrade is manufactured with 19mm clear float toughened glass and fixed directly into the staircase stringers using specialist balustrade glazing bolts. The stair treads are designed in 33mm laminated glass with a textured surface for anti-slip properties and finished with a coating of PermaClean for minimal cleaning. The final installation fully utilises the client’s space and provides a structurally sound and beautifully designed staircase.